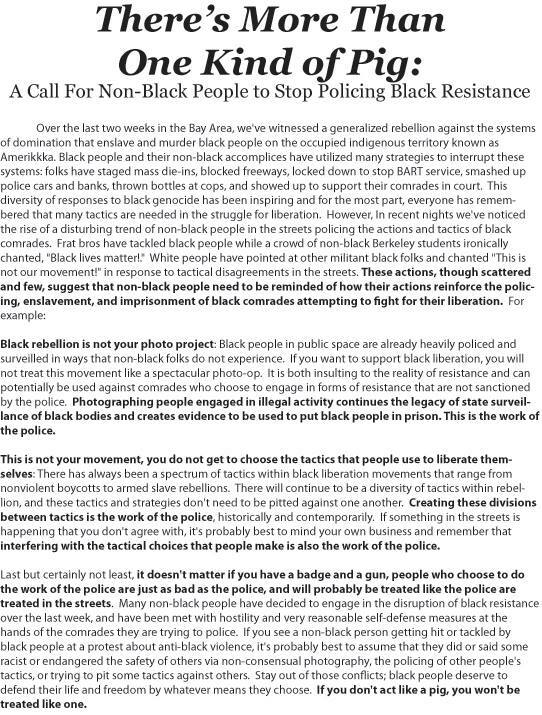 A handout sheet for the Berkeley Eric Garner riots contains language demanding people let Blacks beat up non-Black people at the protests and to not photograph Blacks committing crimes. Garner was a Black man who died in July after resisting arrest for a minor offense by New York City police. A grand jury declined to indict a white officer for Garner’s death.